James "Whitey" Bulger was pictured in this June 23, 2011, booking photo. Federal prosecutors argued in court records Monday that James “Whitey” Bulger has made a “frivolous and unsubstantiated” claim that he was granted immunity for his crimes four decades ago, and they opposed a request that the sitting judge in the case recuse himself because he was once a prosecutor. The prosecutors argued in a 12-page opposition to a court motion Bulger filed two weeks ago that the notorious gangster has showed no evidence that US District Court Judge Richard G. Stearns has a hidden interest in the case, or that anyone ever granted Bulger immunity for his alleged violent crimes, including murder. Bulger’s lead lawyer, J.W. Carney Jr., has said that he will file a motion to dismiss the federal racketeering indictment against Bulger on the grounds that the gangster had a deal with federal investigators: he worked as a confidential informant and was granted protection from prosecution of any of his crimes. Carney has said that he will identify the law enforcement officer who purportedly granted Bulger immunity. And, he has argued in court records that the failure to prosecute Bulger for murder for years, in spite of his reputation — until his scandalous relationship with the FBI was exposed — demonstrates that he was receiving protection from the government. Carney two weeks ago filed a motion asking Stearns to recuse himself. The judge was a federal prosecutor during a span of the time Bulger was allegedly carrying out his crimes including murder, and he was chief of the criminal division for part of that time, as well. Carney said he may call the judge as a witness to glean what he knew of Bulger and the failure to prosecute him, and so Stearns should recuse himself to eliminate any conflict of interest. No hearing has been set on the court motions. But prosecutors have argued that there is no need for Stearns to recuse himself, saying Carney has shown no proof that the judge knew of Bulger’s crimes, or that he would have a hidden interest in the case. They argued that appeals courts have set proper standards for when a judge should recuse himself so that a defendant will not be able to shop for judges, and that Bulger has not met that threshold. The prosecutors also took issue with Bulger’s claim that he was granted immunity for his alleged crimes, in what has been called a “license to kill.” Bulger’s former cohort Stephen “The Rifleman” Flemmi had raised a similar defense but US District Court Chief Judge Mark L. Wolf rejected the claim. An appeals court upheld his decision. 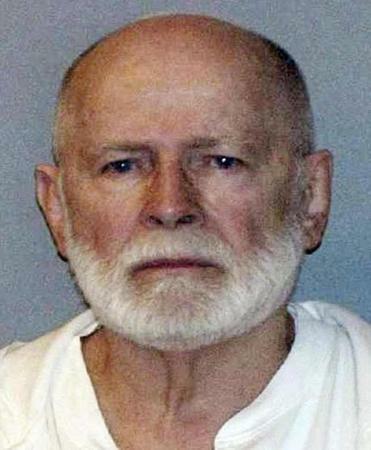 Bulger, 82, is accused of participating in 19 murders. He was arrested in June 2011 after more than 16 years on the lam, and was once named one of America’s Most Wanted. He is slated to go to trial in March 2013.